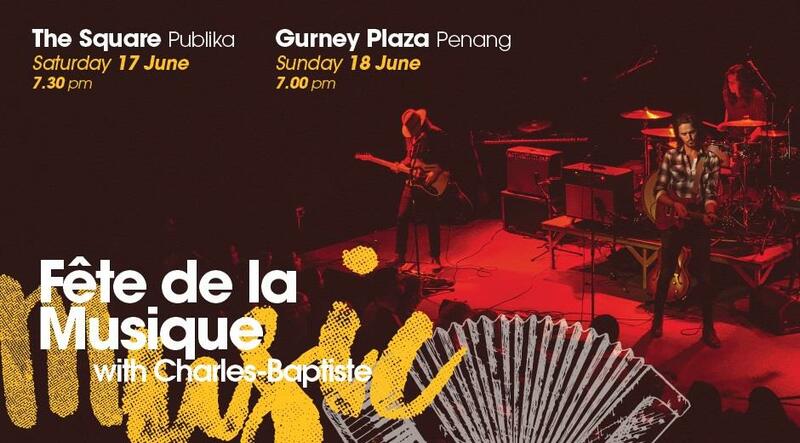 Charles-Baptiste’s two performances in Kuala Lumpur will be a perfect introduction to French music. The young man intends to resurrect the French dandy style by celebrating joy, music and dance. A nostalgic of the French sixties, he breathes new life into famous hits of the old French pop music by mixing them with new ones, thus moving from France Gall and Gainsbourg to Stromae and Christine and the Queens. Not forgetting, we also have a few local artists and bands that will be performing as well. Psst…1 artist and 1 band from Sony Music Malaysia. Charles-Baptiste will first perform a 100% francophone after work DJ set in the rooftop Mai Bar Aloft Hotel on 16th June 2017, 7.30pm. His second show will be the main concert of the Fête de la Musique, an annual event that originated in France in 1982 and aims at promoting music through free open-air concerts. For this second performance, he will appear alongside professional and amateur Malaysian musicians on the main stage of The Square, in Publika.